Please the crowds with this 2-Step Taco Dip. You're just 10 minutes and 2 steps away from serving this creamy, cheesy and super-flavorful 2-Step Taco Dip. Mix sour cream and seasoning mix until blended; spread onto bottom of pie plate. Cover with layers of tomatoes, lettuce and cheese. 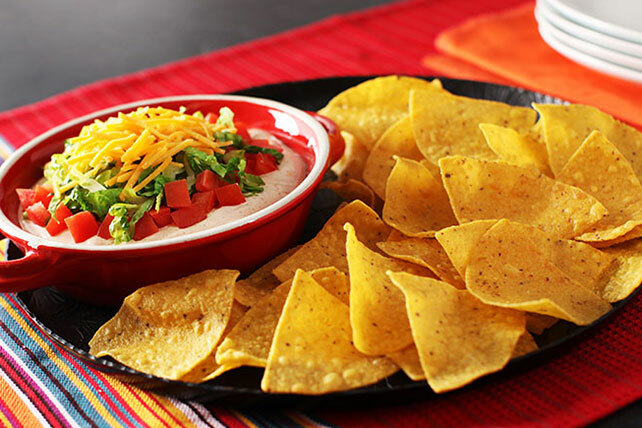 Savor every bite of this tasty dip. Each 2-Tbsp. serving goes a long way on flavor. Prepare in shallow dish instead of pie plate.